Earlier this month, w e held a groundbreaking ceremony to kick-off construction of a 24,759-square-foot medical office building that will be home to 12 primary care providers with fully integrated physical, behavioral and dental services. Long-term plans may also include an urgent care, imaging, lab and pharmacy. 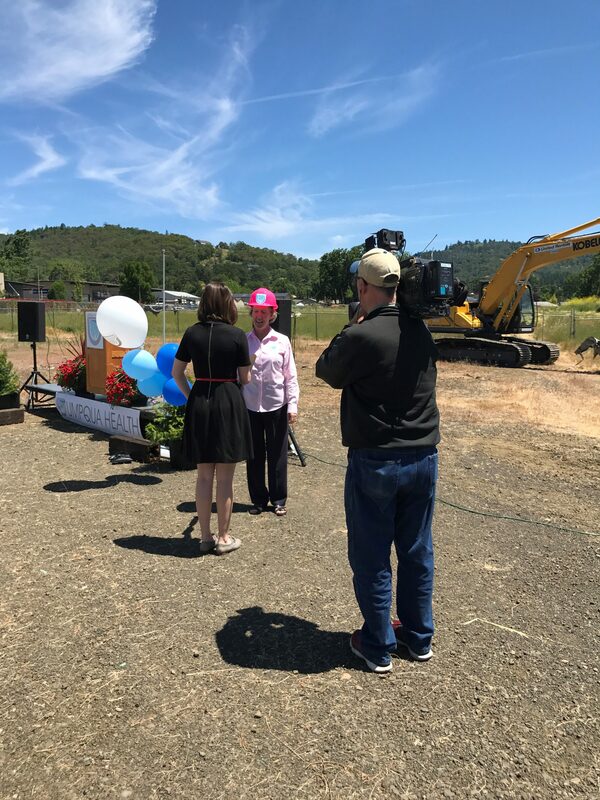 According to our CEO Brent Eichman, the new facility, named Umpqua Health Newton Creek, will address a long-time need in the community for greater access to high quality primary care and other wraparound services all conveniently located on a single site. Those efforts, Eichman said, are also paying off with several new primary care providers scheduled to start later this year. It’s an exciting time to be part of our team!